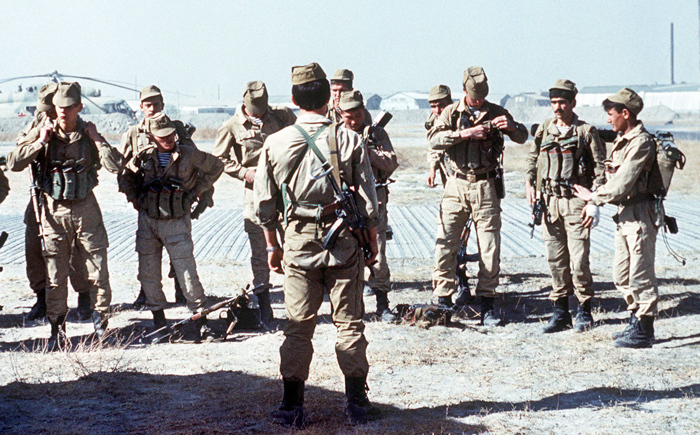 Soviet special operations personnel in Afghanistan, 1988. Photo by Mikhail Evstafiev, via Wikimedia. How does military intervention affect ordinary people? Does it spare them from violence by the regime, or exacerbate it? Dursun Peksen has a new article out in Political Research Quarterly suggesting that military interventions increase state repression against domestic opposition groups. Peksen argues that when foreign powers intervene in domestic conflicts, human rights violations in the target country go up considerably. This is true regardless of whether the intervention comes from an international organization or an external government, democratic or not. 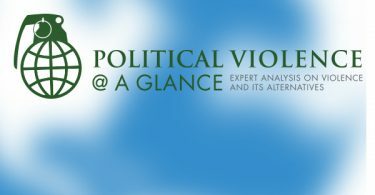 Importantly, the target of external interventionist forces does not matter; interventions that target or support embattled ruling regimes both encourage repressive behavior. Armed interventions in support of governments (e.g., South Africa in Lesotho in 1998) embolden the embattled regimes, granting them more coercive resources and a sense of legitimacy in committing these violations. Armed interventions that are neutral (e.g. United Nations in Bosnia) or hostile toward the embattled government (e.g., US-led intervention in Haiti 1994) are likely to make the regime perceive itself to be under an existential threat, giving it nothing to lose and encouraging even more brutal toward domestic opponents. The policy implication for humanitarian-minded interventionists is clear. Do you want to spare civilians from human rights abuses? Then unless you are sure you can decisively stop the violence, don’t intervene. Erica — the theoretical reason provided in the paper for neutral interventions being dangerous is not that they increase the sense of a “threat to national integrity” but rather the following: neutral interventions are considered a weak response to crisis, so the regime is emboldened in its violation — it thinks it can get away with more. This is interesting because it means costly action (organizing and implementing a neutral intervention) can be counterproductive. As a side note, I’d be more interested in a restriction of the data to the interventions in which rights protection was a primary stated goal of intervention by foreign governments (a subjective category, of course). Also, surely in the back of everyone’s mind: even if anti-regime interventions have a non-existent or slightly negative impact on rights violation in any given crisis (as found in the paper), isn’t it better to live in a world in which regimes fear intervention if they conduct widespread rights violations? In other words, what about the second-order effects? Looks interesting, definitely added to the reading list. It just needed a better title, more of a soundbite. My suggestion: Go big or stay home. From a policy perspective, the word “intervention” is problematic. What we’re talking about is things like mass aerial bombing, invasions, arming factions, etc. The term intervention tends to obscure this. Added to my reading list as well.